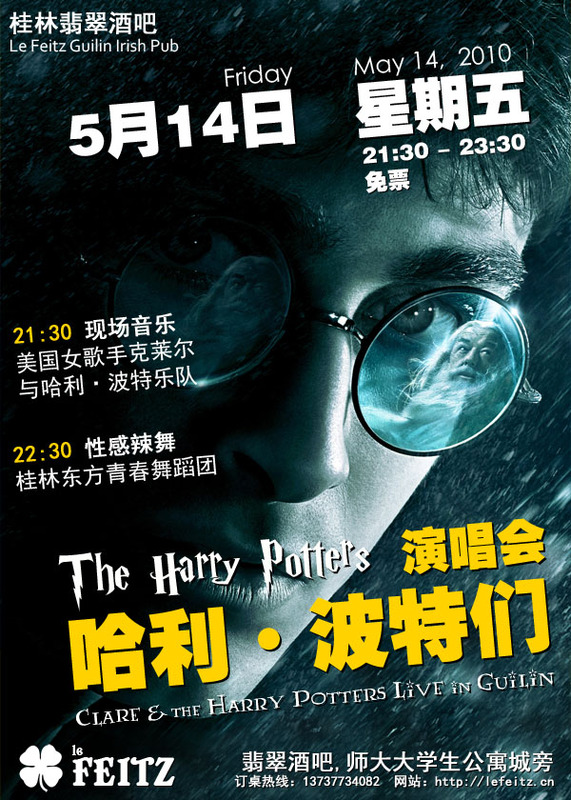 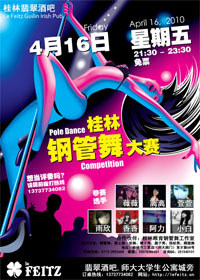 Big artistic night Friday, May 14, 2010 at le Feitz Guilin, China. 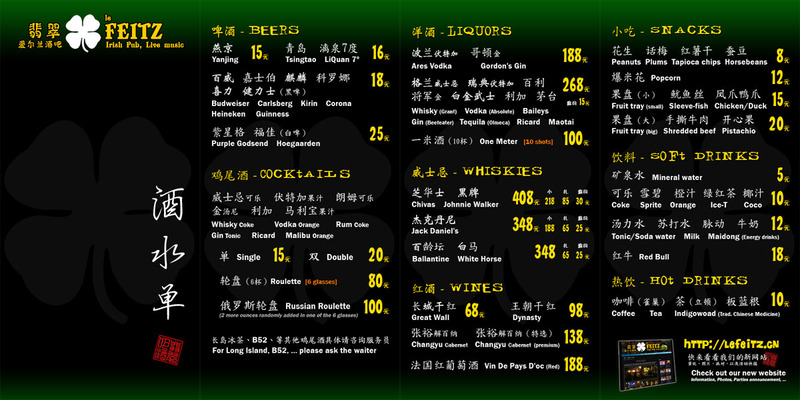 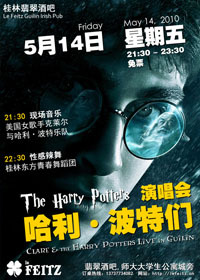 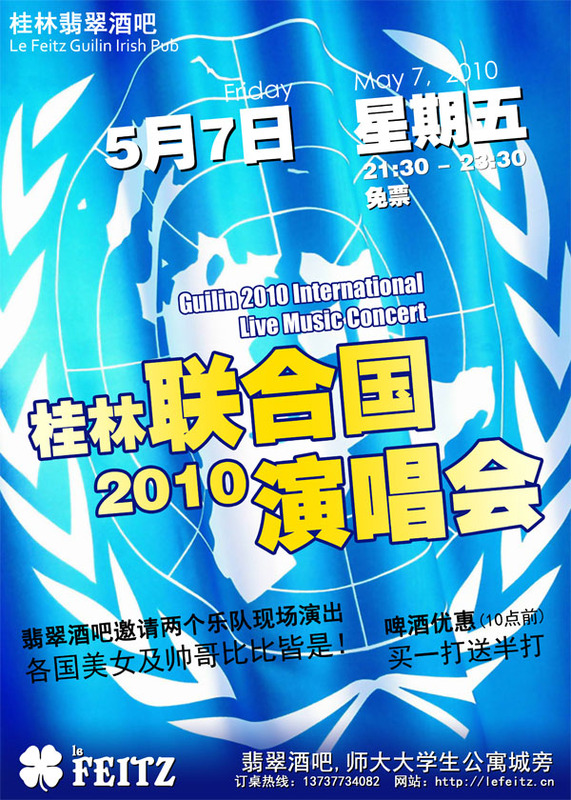 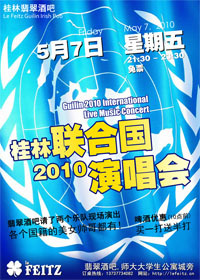 (Click to enlarge) Guilin 2010 International Live Music Concert at le Feitz' on May 7, 2010. 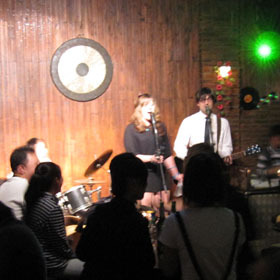 One stage, two bands, and Open-bar deal! 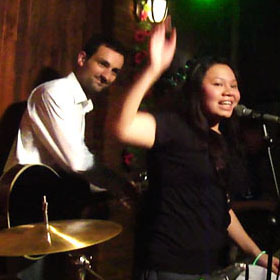 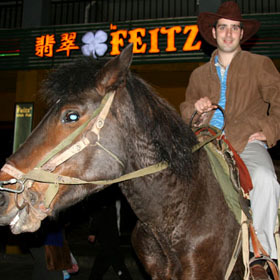 Music show, Foreigners sing Chinese songs live at the Feitz, Guilin, China on Friday April 23, 2010. 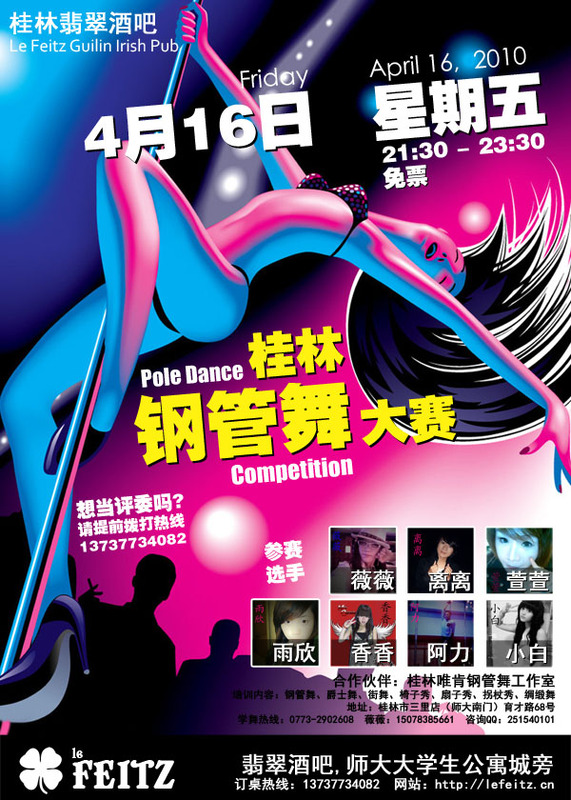 Guilin Pole Dance Competition - Show & Contest at le Feitz' on Friday, April 16, 2010. 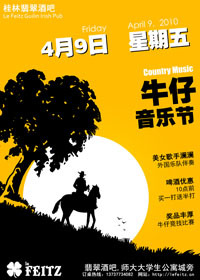 Country Music Festival - Live Music at the Feitz' on Friday, April 9, 2010.